When your career starts with founding one of the most popular social media platforms of all time, it can be hard to know where to go next. It would be fair to assume that Twitter CEO Jack Dorsey has his hands tied at the moment, considering the seemingly endless stream of user-generated controversy, site bugs and financial woes to contend with, but somehow, despite all this, he's found time to start a whole other business. Said business is called Square, and it has absolutely nothing to do with Twitter. Square is setting out to make sure that you never again have to leave your driving license at a hairdressers as collateral while you run outside to find a cash machine. It does this by offering businesses card readers which can interface with phones and tablets, readers which only cost £39 each, and only take a 1.75% transaction fee. Square isn't exactly the first business to do this, the Swedish iZettle was the first company to popularise the method, but Square takes a full 1% less off the top and all the profits from their transactions are promised to arrive in the bank account the very next day. With other readers it can take weeks. This, coupled with the simple interface that doesn't require buying a new till, makes Square an attractive options which small, independent businesses will probably find a lot of appeal in. Square also has the advantage of $6.5 billion market cap, which is leagues ahead of iZettle or any of its other competitors. Dorsey's influence as one of the world's foremost CEOs probably did a lot to help this financial potency. The question still remains though - why did Dorsey, of all people, decide to do this? 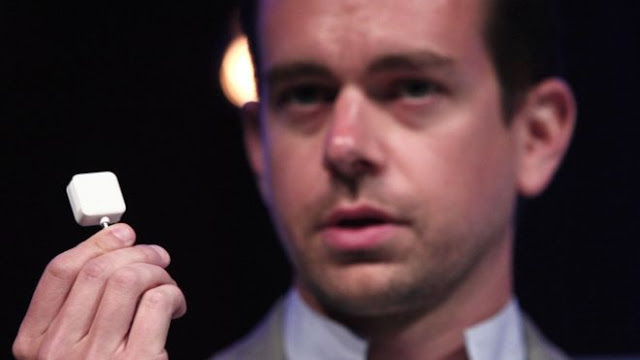 Well, when he started Square, he had just relinquished his role as Twitter CEO to Evan Williams. Square actually launched in the US in 2010, before branching out to launch in Australia and Japan. By the time Dorsey retook his position as CEO in 2015, Square had filed for an IPO and already been valuing in the billions for 3 years. That in mind, it's hardly surprising that he decided to juggle the two companies, and it seems like he's handling the divided time very well, but if Square continues to gain success, will he stay at Twitter? Short answer, yes, but if Twitter really falls on hard times, it's likely that Dorsey will view Square as something of an escape rope, or even something to focus his attention on while he lets others deal with Twitter's myriad of ongoing issues.